Fernando de Noronha looks like it has been plucked straight out of a Bond movie. This stunning archipelago, consisting of 21 islands and islets lying 200 miles off Brazil's coast in the Atlantic Ocean, is jaw-droppingly beautiful. Interestingly, it's named after a 16th-century merchant who was gifted the archipelago in return for importing Brazilian wood for the Portuguese government - plus, he was the one who actually found the islands in the first place! Given its location, Fernando de Noronha is part of a unique special state district that's not attached to any other municipality; instead, it's run directly by the government. Be warned though that due to environmental preservation, visitors have to pay a daily fee to enter the island and another to see the National Park attractions. Since 2001, Fernando de Noronha has been a designated UNESCO World Heritage Site due to the importance of its environmental biodiversity. It's strange to think about, but all of Fernando de Noronha's islands are in fact just the visible tops of submerged mountain ranges! These islands attract an incredibly rich array of wildlife: sea turtles, spinner dolphins, albatrosses, humpback whales, and more. Whilst the islands are full of lovely beaches, we recommend in particular: Baia do Sancho, Cacimba do Padre and Conceicao Beach. Head off to Projeto Tamar and hear about all the conservation work that they do on the island. The Shark Museum is another fascinating spot for nature-lovers. Pousada Maravilha is a stunning beach resort with romantic, tree-house style lodges overlooking the sea and boasting spectacular views. With a fine dining restaurant to boot, it's the ideal spot for a honeymoon. You can fly into Fernando de Noronha AIrport from Recife and Natal, with the journey lasting between one or two hours. Fernando de Noronha is permanently warm, with the temperature basically staying around 27°C year-round. However, there's more rain in the winter (from February to July) so you might want to avoid coming at this time. If you want to fully explore all that the island has to offer, hire a car with Rentalcars. Browse through our entire list of the best places to stay in Fernando de Noronha. Widen the net to include our recommendations in Rio Grande do Norte. 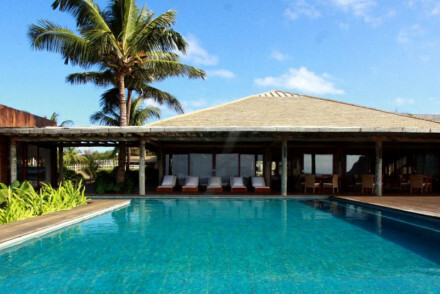 A luxury beach resort on the island of Fernando de Noronha. Tree house style suites are rustic, romantic, and luxurious. Lovely pool and lounge area and fabulous local ingredients from the sea! White sand beaches, dolphins, turtles, and diving. The perfect spot for a honeymoon.